Many people use poisons to kill rats and mice in or around their homes. There are also products available to kill or control mammals like rabbits, possums, cats, weasels, stoats and ferrets, and birds. These products come with risks, and the Environmental Protection Authority has advice on how you can protect yourself, others, and the environment. 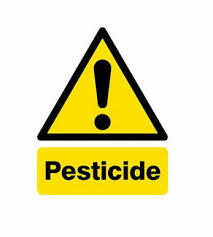 Most of poisons available for people to use at home to control pest animals are poisonous to people and to pets. If you choose to use these products, you should read the label carefully to make sure you are doing all you can to protect yourself, others, your pets and the environment. If you choose to use poison and have children in your home, you need to be very careful to make sure children can never get to the poison. You should only put it in places where children could not get it, and store any product you are not using in a high, locked cabinet. Watch young children very carefully until all the bait is gone, especially babies who are crawling. Seal any gaps or holes inside or outside your house. You can often patch large holes with wood, or stuff small holes with steel wool. Check it there are any food and water sources in or near your house. Rubbish bins can be attractive to rats and mice, so make sure they have a tight-fitting lid. Turn over compost piles to cover any new food scraps. Live traps. These don’t kill rats and mice, so you must consider what to do with the trapped animal. Lethal traps. These are designed to kill rats and mice. You must be careful to put them in places where children or pets won’t get to them. Poisons. There are many different types of poisons available. You should read the label carefully, and seek advice, to make sure you choose one that is both effective and safe. Think carefully about how to protect children or pets in your home while you use poison. Professional pest removal. You can search online or use the yellow pages to find a pest removal company in your area. They may use poison or traps, or a combination of the two. There are many different poisons available, so seek advice if you are not sure which one is best for you to use. If you have young children or pets in your home, consider buying a poison product that is already inside a special child-resistant bait station. Even if you use this kind of bait station, remember it is not child proof. Read the label of the product you plan to use. This will help you know exactly how to stay safe with that product, and what to do in an emergency. If your product does not come with containers for the poison, find some suitable containers to use. Make sure they are sturdy, and never use food or drink containers (these might encourage children to eat or drink what’s inside). Choose where you are going to put your poisons. Make sure it is a flat place, where children and pets can’t get to. If inside, under a fridge, in a sealed crawl space, or behind heavy furniture can be a good option. If outside, make sure it’s hidden inside a pipe or behind something heavy, so pets can’t get it. Don’t put it anywhere near water, food, or pet food. Put gloves on before you open the packaging. Carefully follow all the instructions on the label. Wear gloves, and check the label to see if you should wear anything else to protect yourself, such as goggles or long clothes to cover your skin. Put your poison where children and pets can’t get it. Make sure it’s nowhere near water, food, or pet food. Clear up any spilled product straight away. Put your poison away in a high, locked cupboard as soon as you are done. Wash your hands once you’re finished, and any parts of your skin that may have been exposed to the product. Make an effort to look for dead rats and mice every day. Follow the directions on your product’s label to dispose of the bodies safely. It is important to do this, because the bodies can carry germs, and may have poison in them. Check the places where you have put your poison regularly. Make sure the poison is still out of reach for children and pets, and the poison is still inside the container. Keep all products in their original bottles or boxes. This is really important – it will make sure you have all the safety information on the label. Never put poisons in old food or drink containers. Seal all containers properly before you put them away. Keep these products in a high, child-safe cupboard. Make sure to keep these poisons well away from water, food or pet food. If you spend time in the bush or other large public places, you may sometimes notice that poisons are being used to control pests like possums, rats, stoats, and feral pigs. Two common poisons are 1080, or sodium fluoroacetate, and brodifacoum, but many other types are used too. Usually you will see signs to tell you which poison has been used, and what you should do to keep safe. The sign should also give details of when the poison was used, and who you can contact if you have any questions. Avoid touching anything you think might be a poison bait. Often poison baits are small, about finger sized, and dyed blue-green. Keep watch on small children, and warn older children of the risks of the poison. If you are with a dog, keep it close to you. Don’t let it wander where you can’t see it – it may eat a poison bait, or eat the body of an animal that has been killed by the poison. The bodies of animals killed by some poisons can also be poisonous. You should call the EPA if you have concerns about a poison operation, or come across a sign you think does not have enough information.